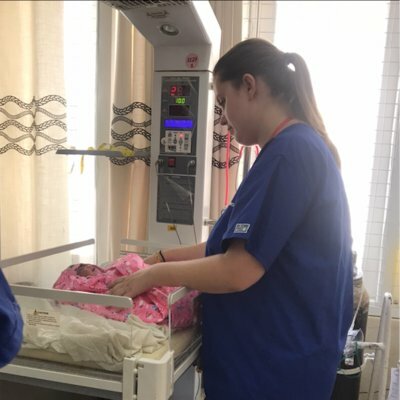 I chose to come to the Philippines for my nursing elective placement because of the opportunities it could give me to experience nursing in a different country. Many Filipino nurses work in the UK and I wanted to go to the Philippines to see for myself what it was like. 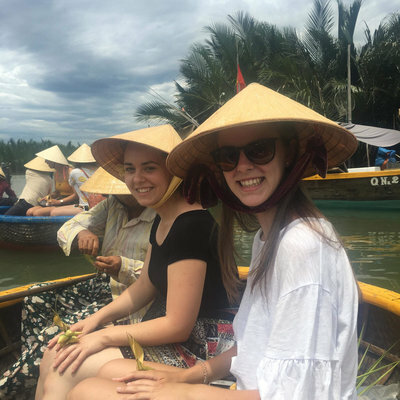 When deciding on where to go for my elective placement, the Philippines was always a favourite and when I looked at what Work the World (WTW) could offer me, the decision was made. WTW were extremely helpful before my trip to Iloilo. If I ever had a question or query, I could email or phone them. Becky and Leah from WTW were very informative and explained everything. They provided details of the hospital, the house, the local area, the house staff and much more. I arrived in Iloilo in January 2015 with 2 friends who are also doing their elective placement in the Philippines. 3 other friends arrived later in the day. We were picked up from the airport by WTW staff. They took us back to the house where we met our Assistant Programme Manager. She gave us a tour of the house and also talked to us about various things including the local area and our placements. THE ROOF TERRACE WAS A GREAT SPACE, ESPECIALLY FOR SUNBATHING IN THE AFTERNOONS! On Monday we went to the hospital where the placement areas were. We attended the flag raising ceremony and had a tour of the hospital with our APM and the Nurse Training Officer) This was followed by a tour of the city of Iloilo and lunch. That evening, there was a language lesson. All aspects of the orientation were helpful and interesting. The house is a great house with plenty of space for everyone. I shared a bedroom with 5 other girls. The bedroom was big enough for everyone though. The roof terrace was a great space, especially for sunbathing in the afternoons! The staff were amazing! They are always there to help and also have a chat. Our APM is great at helping with any problems or queries and is a font of knowledge when organising trips at the weekends. The cook is great. All meals have been delicious and also allowed me to try some foods from the Philippines. My first week was spent in the Outpatients Dept. I was specifically in the Animal Bite Clinic, where I got to firstly observe what the nurses did and also the routine of the clinic. The nurses were extremely helpful and friendly. Week 2 was spent in the village. Week 3 was spent in the Paediatric wards in the hospital. I split my time between the newborn ward and the ward for children over 1 month old. I got to observe the daily routine of both wards, which included, vital signs, medication rounds and taking blood sugar levels (CBG). I spent the rest of the week in the OB dept. This was a good experience and I got to see four babies being born. Overall, my experience was great and it gave me the opportunity to experience a hospital and its healthcare in another country. It gave me the chance to compare and contrast the differences and similarities between the UK and the Philippines. I spent my second week on a small island in the Philippines on the Village Healthcare Experience. I spent the week with a family in their home in the village. It was an amazing experience with the family and their community. 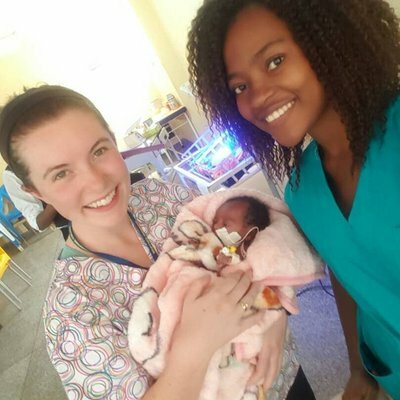 I spent the mornings in either the hospital or the midwifery clinic where I got to observe what they did and experience the healthcare the patients received. In the afternoons, I spent time with the host family doing various activities. These activities included a tour of the village where I got to meet the community, traditional weaving, a teaching session with the local children and island hopping. Overall my time on the Village Healthcare Experience on the island was an absolutely amazing experience that I’ll never forget! While here in Iloilo, the Dinagyang Festival was on. It was just by chance that I was there when the festival was on. The festival was a great experience in which I got to see traditional dancing and singing. On the first full weekend here I went to Boracay with 5 other students from my course for 2 nights. We got a van/minibus to Boracay, which was good. We spent time on the beautiful beaches and having meals and drinks. Boracay is well worth a visit as there is lots to do, including water sports.